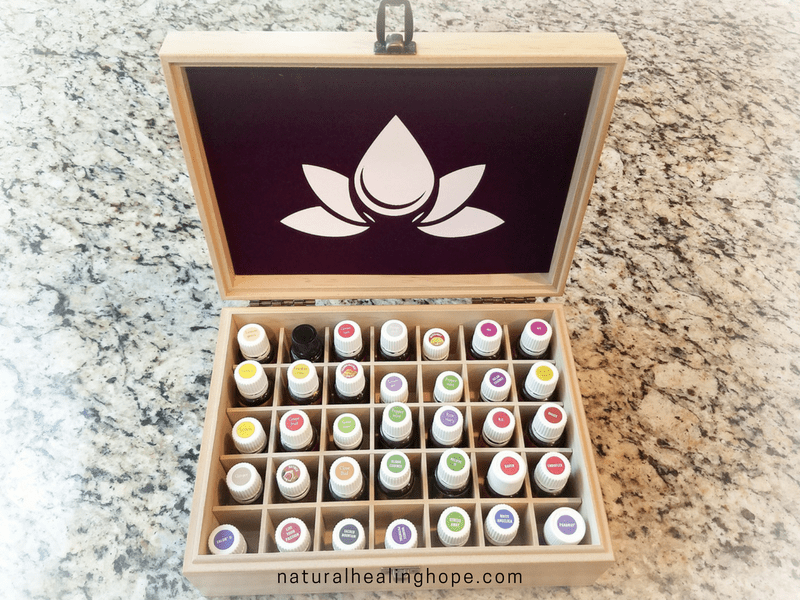 If you are a lover of essential oils like me, then you most likely have built up a collection of them that are scattered everywhere and you need a solution for essential oil storage to make your life easier. 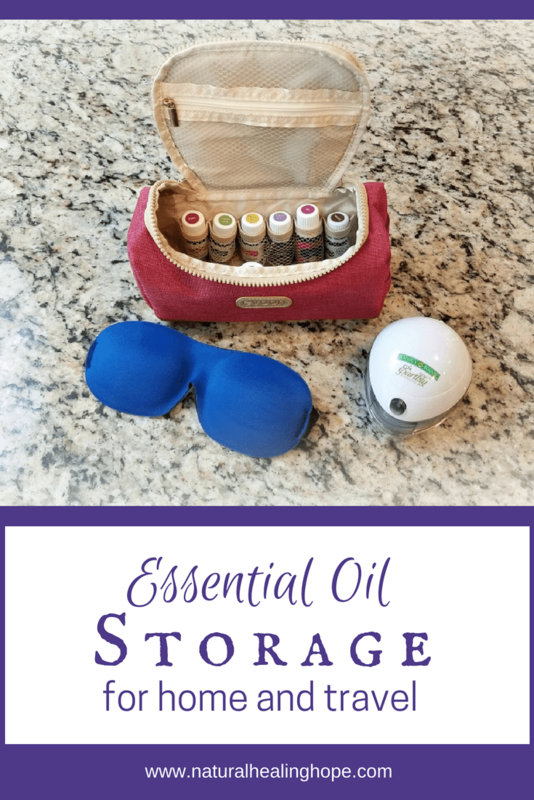 Over the years I have tried several different essential oil storage solutions that haven’t worked out so well including storage shelves and baskets in my drawers. These little bottles full of health-boosting properties are great if you can find what you are looking for when you need it. 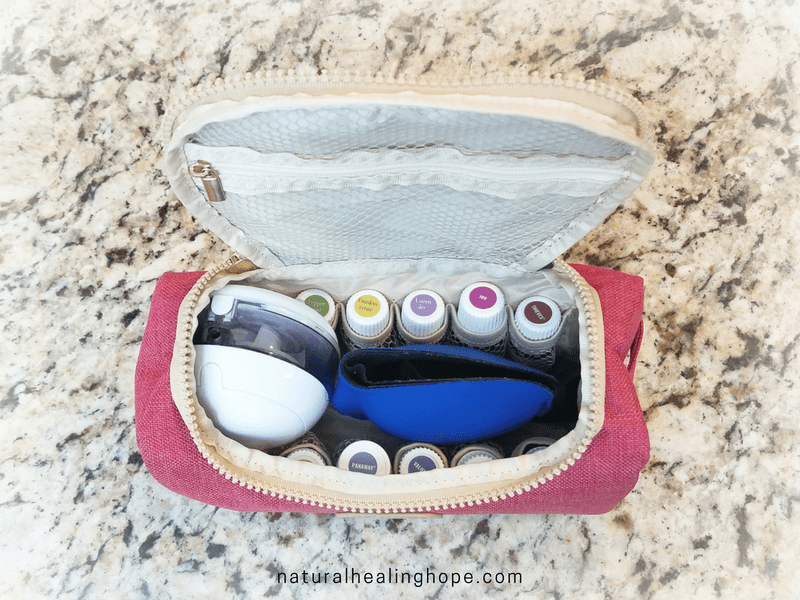 I also like to take “my favorites” with me when I travel because you just don’t know what you may need on the road to combat illness and ailments along the way. Finding a way to organize and store them for travel has been a trial and error learning exercise for me. 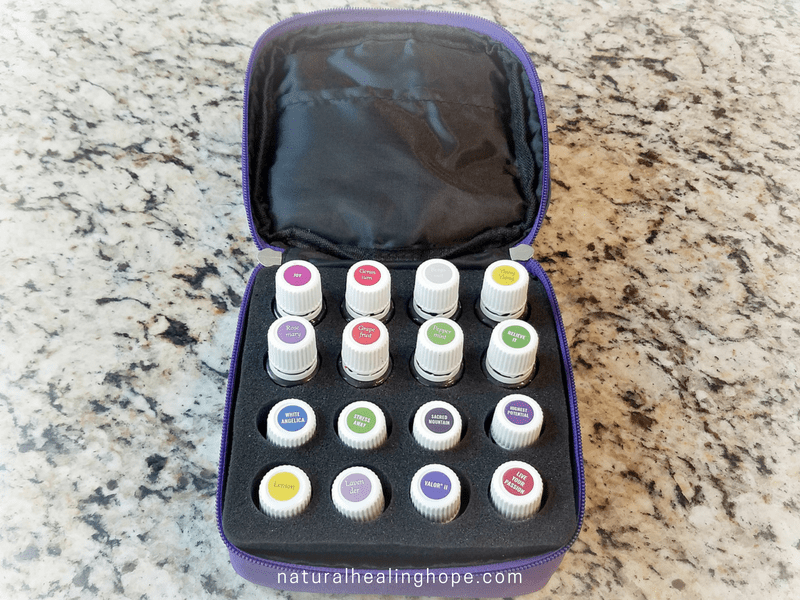 Finally, I have found essential oil storage systems that work great for me both at home and while traveling. 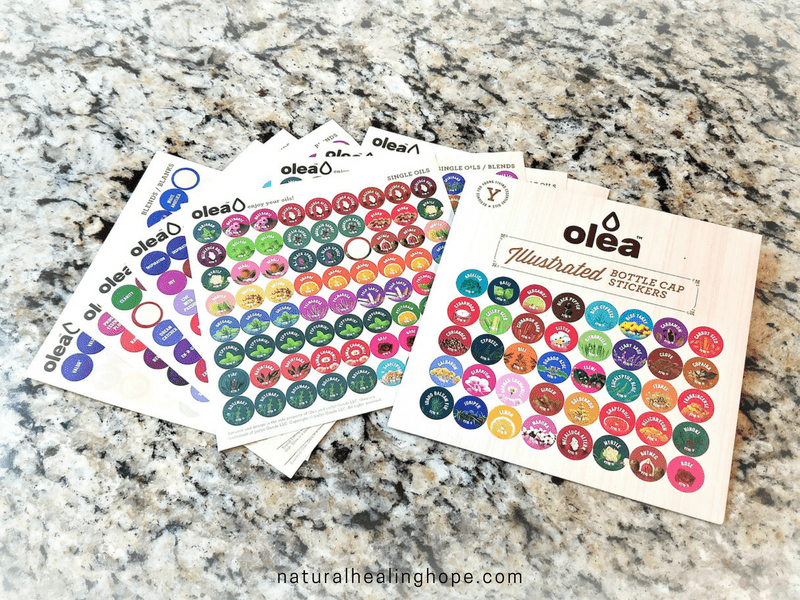 One thing that made such a huge difference is using labels on the lids to identify the various oils. Why, oh why, did I wait so long to adopt this plan? I saw these labels on countless occasions but never bought them. Thankfully, my thoughtful mother, knowing my plight, gifted me some with the other storage solutions I am going to share with you. Now that I have labeled all my bottle lids I am kicking myself for not doing this sooner. It could have saved me so much time from picking up each and every bottle to read the label on the side every time I looked for a particular oil. Affiliate link. My mom gave me this wonderful storage box for Mother’s Day this year. I know, your probably thinking…wait she is your mom, why is she giving you a gift? Well, that is just how my mom is… she is a giver. That is where I get my “love language” of “gift giving.” You can read more about the 5 Love Languages in my post about how to Plan a Lavender Tea Party for Someone You Love. 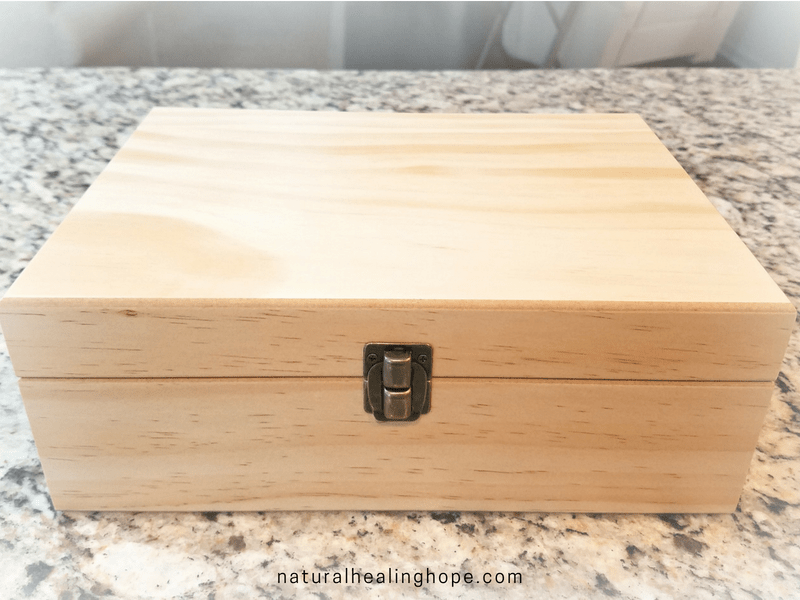 This box has space for 35 essential oils which just about covers the majority of my essential oil collection. It also includes the labels for the bottle lids. Affiliate link. My mom has a smaller collection so she uses this case to store her oils. Affiliate link. Traveling is a whole different story. 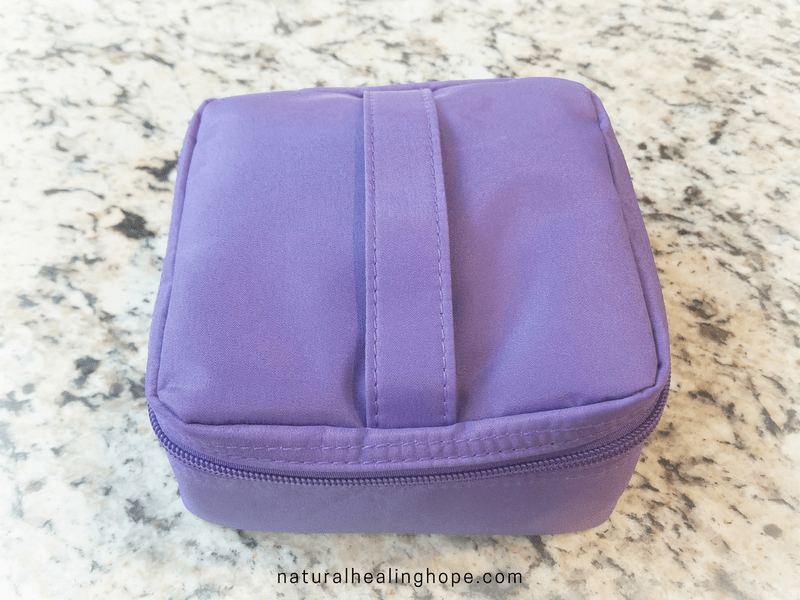 I needed something small enough to travel with but something that would store everything I would need for my trip along with a diffuser. I can’t sleep without my diffuser going with Lavender, Frankincense or my new favorite, Peace and Calming. Pictured below is the perfect travel bag that is working for me. Side note: I have been working on traveling light when I travel. I was introduced to this Amazon Basic Travel Bag designed after a Rick Steve’s Travel Bag in which people are using to travel all over the world for up to a month just using this bag. It organizes everything in one backpack that is designed like a suitcase. I have been saving money by not checking bags on flights and only using this bag. It organizes everything, including your laptop, cellphone, pens, keys, etc. My husband and I both got one and we love our new method of traveling light. This bag is perfect for students going away to college as well. When my first child went away to college, I remember spending over $300 at Walmart to outfit him with a mini-medicine cabinet of all the things he could possibly need all stored in a plastic storage bin. That was before we knew anything about essential oils and holistic natural approaches to supporting one’s health and well-being. A Young Living Starter Kit includes 11 of the most popular oils and an amazing diffuser for only $160. This would cover practically any health issue that could possibly come up with your college student. It also includes oils that help with sleep, focus, stress and elevating mood. I offer a FREE e-course that would be perfect for educating your college student about how to use these oils to support their health and wellbeing. It is an important step for a young adult to learn how to take care of themselves both physically and mentally. For any of the solutions talked about in this post you can click the “Affiliate Links” or the pictures to go to Amazon to see more information about these items. 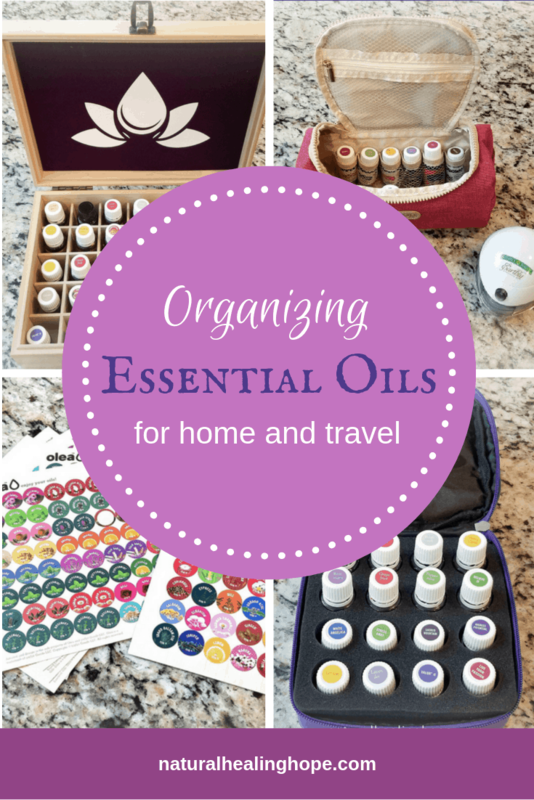 I hope these ideas help you to find ways to organize and store your essential oils. Subscribe to receive a printable copy of " 8 Essential Oils That Can Improve Your Day." You'll also receive access to my password protected RESOURCE LIBRARY full of tools to help you in your natural health journey. 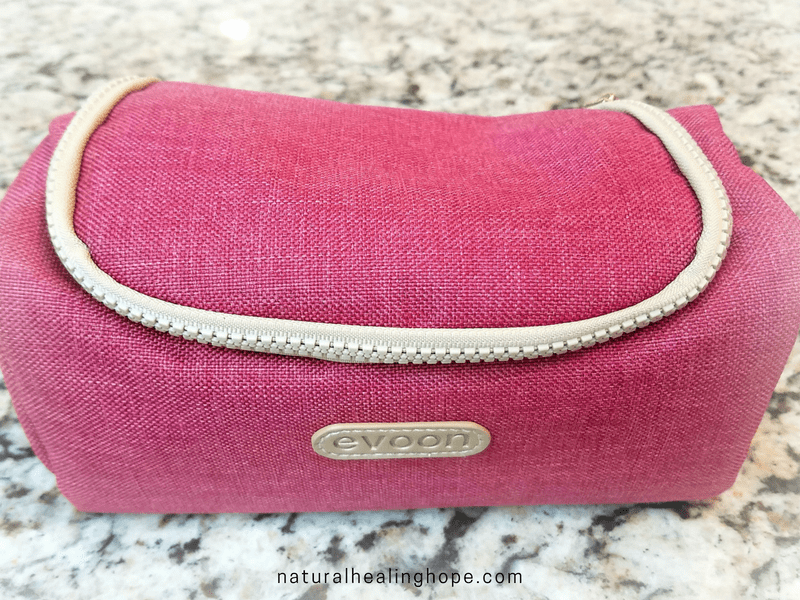 Those Evoon bags look so perfect for so many things! What a great gift idea too. Thanks for sharing. Thanks Miranda! Now you got me thinking of new ways to use them as well.